Computer science courses in K-12 education are fading from the national landscape at the very moment they are needed most. 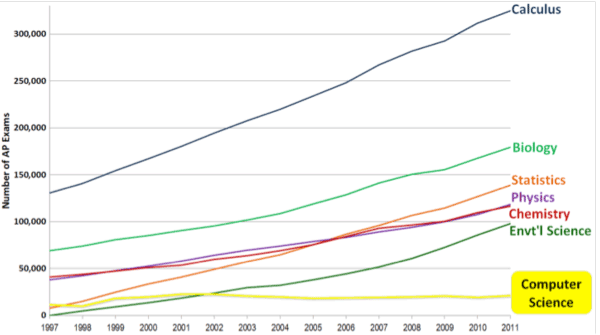 Introductory secondary school computer science courses have decreased in number by 17 percent from 2005. 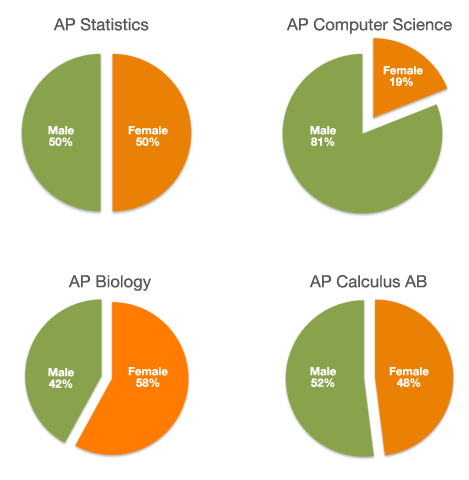 The number of Advanced Placement (AP) Computer Science Courses has similarly decreased by 33 percent. 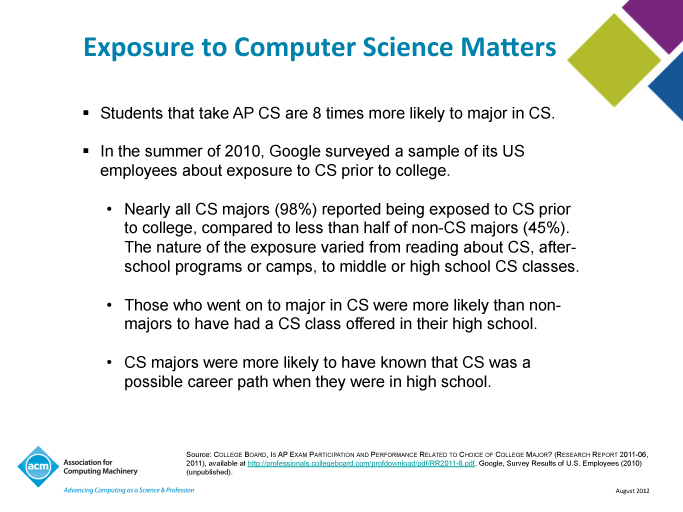 Despite its critical and growing importance, computer science is taught in only a small minority of U.S. schools. There currently are just over 42,000 high schools in the United States. But only 2,100 of them were certified to teach the AP computer science course in 2011, and in fact only 21,139 students took the AP exam. 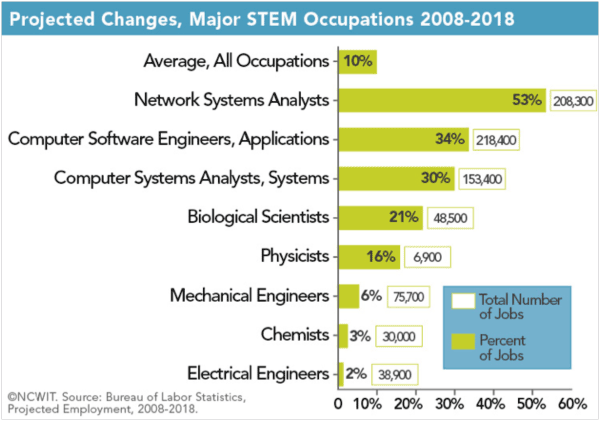 Nationally, computer science is the only STEM (science, technology, engineering and mathematics) field that has seen a decrease in student participation in the last 20 years (Time). In California, less than 1 percent of all advanced placement exams taken in 2011 were in computer science. Moreover, student access to these courses is unequal and unrepresentative of the state’s demographics. 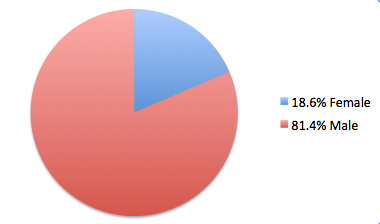 According to College Board, which tracks AP exams, 3,101 students took the AP computer science exam in 2011. By comparison, about 35,000 students took AP government, 55,000 took U.S. history, and 58,500 students took English language. 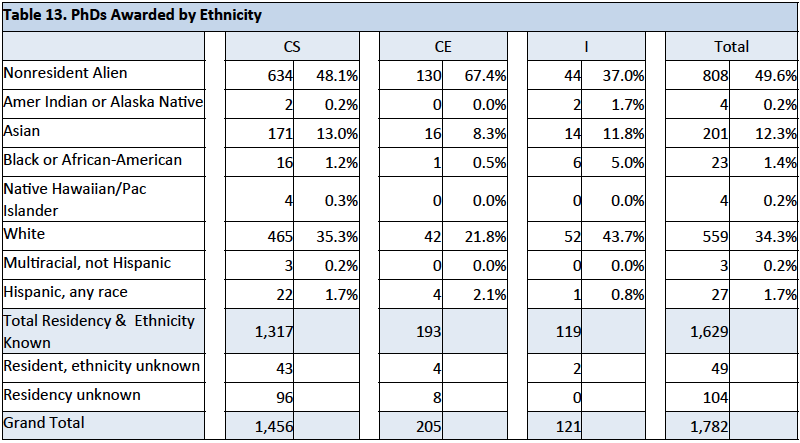 Of those who did take the computer science exam, 29 students were African American and only 21 percent were girls. 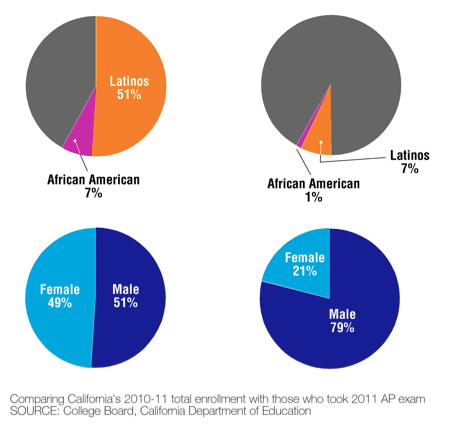 Source: College Board, Advanced Placement (AP) Exam Data 2011, available at http://professionals.collegeboard.com/data-reports-research/ap/data. Calculus represents the combined data of Calculus AB and BC. Physics represents the combined data of Physics B, C:Electricity and Magnetism, and C:Mechanics. 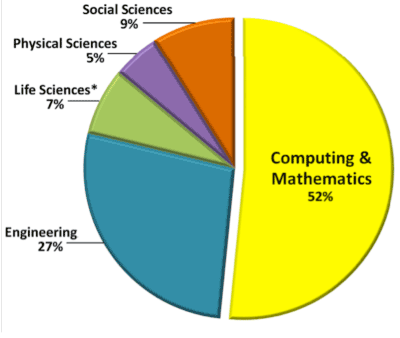 Computer Science represents combined data of Computer Science A and B.
http://professionals.collegeboard.com/profdownload/pdf/RR2011-6.pdf. 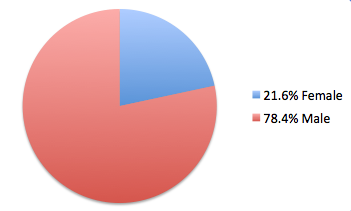 Google, Survey Results of U.S. Employees (2010) (unpublished). No females took the exam in Mississippi, Montana, and Wyoming. 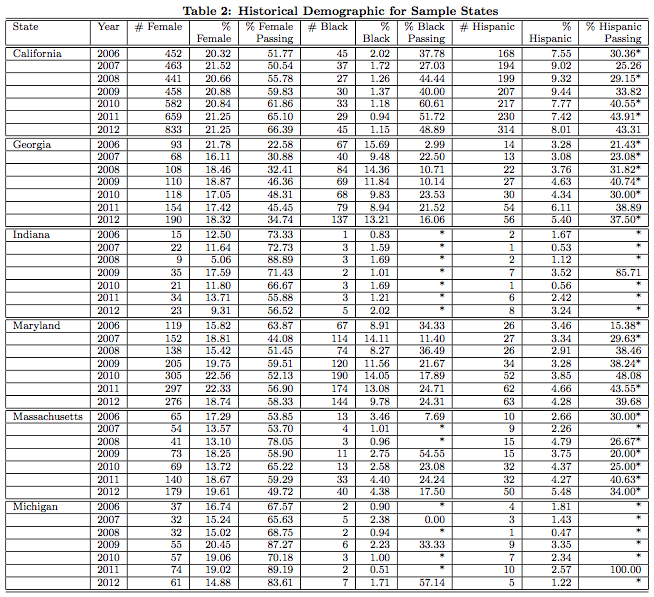 For states that had some females take the exam the percentage female ranged from 3.88% in Utah to 29% in Tennessee. 11 states had no Black students take the exam: Alaska, Idaho, Kansas, Maine, Mississippi, Montana, Nebraska, New Mexico, North Dakota, Utah, and Wyoming. The following states had the most Black students taking the exam: 1) Maryland with 170, 2) Texas with 132, 3) Georgia with 129, 4) Florida with 83, 5) Virginia with 78, 6) California with 74, 7) New York with 68, 8) New Jersey with 34 9) Mass with 34 and 10) North Carolina with 28. The pass rates for Black student in these states: Maryland 27.06%, Texas 48.48%, Georgia 21.7%, Florida 19.28%, Virginia 28.21%, California 56.76%, New York 33.82%, New Jersey 47.06%, Mass 38.24%, and North Carolina 21.43%. The pass rate for Black students in states that had at least 5 Black students take the exam ranged from 19% (Florida) to 75% (Alabama) with 6 of 8 passing. 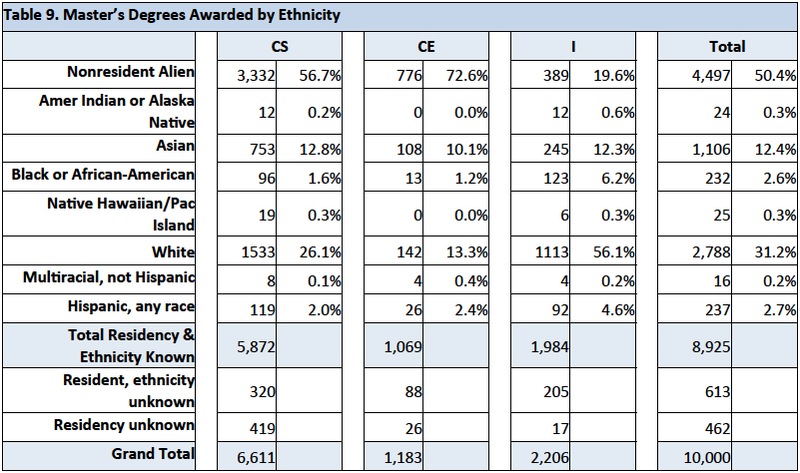 8 states had no Hispanic students take the exam: Alaska, Idaho, Kansas, Mississippi, Montana, Nebraska, North Dakota, and Wyoming. 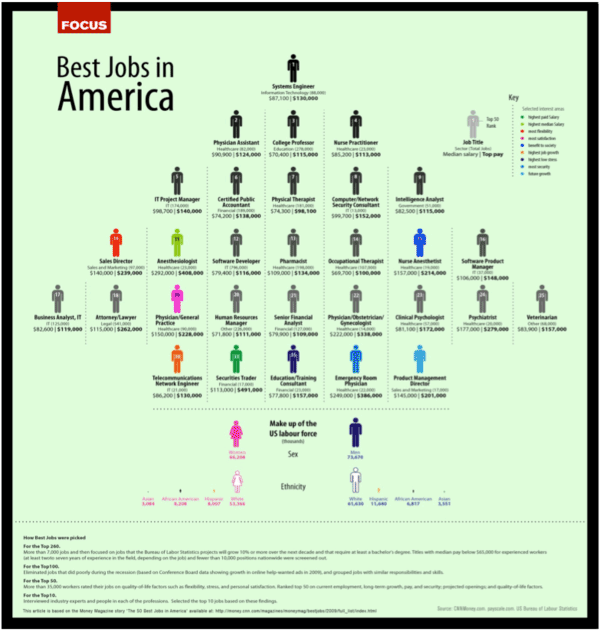 The U.S. Department of Labor estimates that by 2020 there will be more than 1.4 million computing-related job openings. 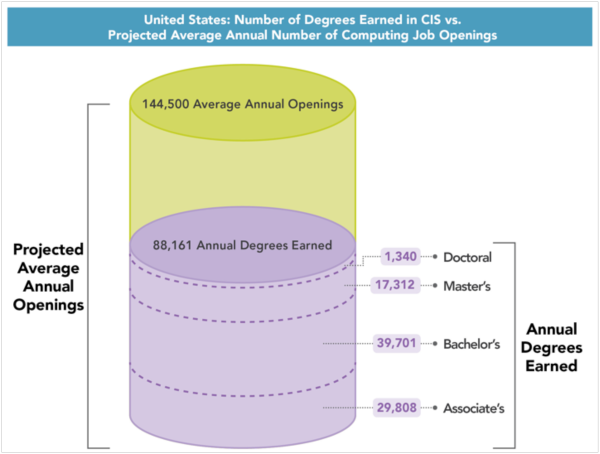 At current rates, however, we can only fill about 30% of those jobs with U.S. computing bachelor’s grads. Girls represent a valuable, mostly untapped talent pool. National Center of Educational Statistics (NCES), 2009 (CIP 11); 2008–2009 CRA Taulbee survey (Computer Science).